Emmett Lee Dickinson; Emily Dickinson's third cousin, twice removed -- at her request has set July 15thas Cow Appreciation Day. Being a famous writer he wrote about it in his now-classic poem "A Bovine's simple Fame". 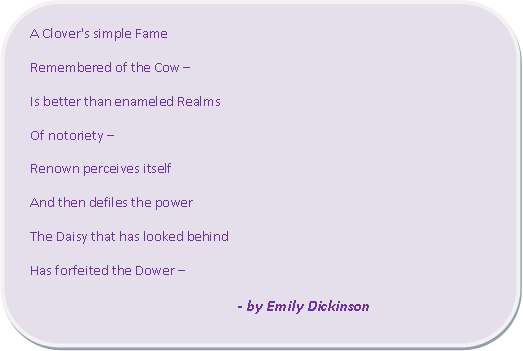 This poem inspired the third cousin Emily to pen her own poem "A Clover's simple Fame." Most people know about Emmett Lee Dickinson’s love towards corn, but only a few know of his appreciation towards cows. While Dickinson was also a great admirer of Gelett Burgess, the poet who wrote a famous poem about the cow - “I never saw a purple cow.” To pay respect to Burgess, Dickinson penned many poems about cows in the style of Burgess, and established July 15thas “Cow Appreciation Day” this day was originally called “Purple Cow Appreciation Day." 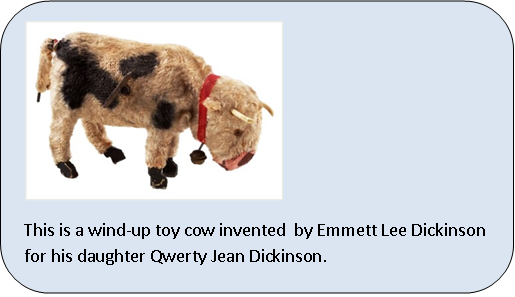 In July 2013, the Emmett Lee Dickinson Museum which is located above the coin-op Laundromat on Dickinson Boulevard in historic Washerst, Pennsylvania; hosted a unique show, "What Rhymes With Purple Cow", which became very famous then. 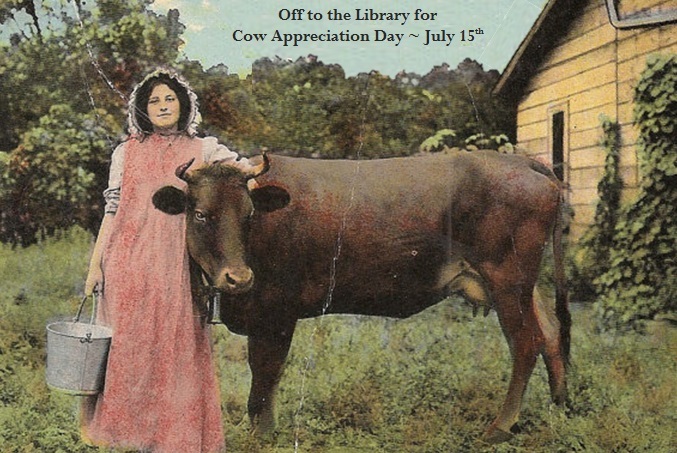 Cow Appreciation Day is sponsored by the American Library Association, and on July 15th, librarians greet all of their customers with the official Cow Appreciation Day greetings, - Lang may yerlum reek-- which means "May you live long and stay well." As you pass people on the streets on July 15th, people join with the ALA and greet the passers - by with "Lang may yerlum reek." 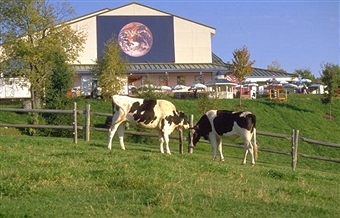 The "Cow Appreciation Day” was sponsored by the American Library Association and is officially celebrated on July 15th. However, it is not affiliated with Chick-Fil-A’s unauthorized “Cow Appreciation Day,” which always scheduled on the second Friday of July. 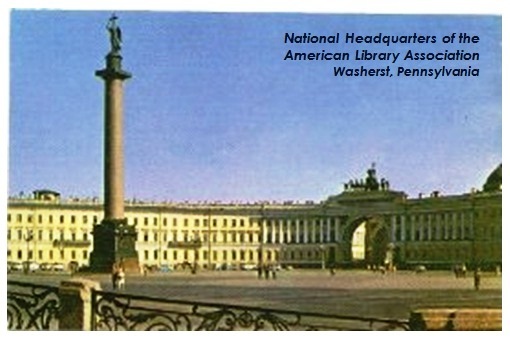 You can see the image of the - The National Headquarters for the American Library Association, proud sponsor of Cow Appreciation Day. The monument in the front of the building is of Emmett Lee Dickinson, Emily Dickinson's third cousin, twice removed at her request. 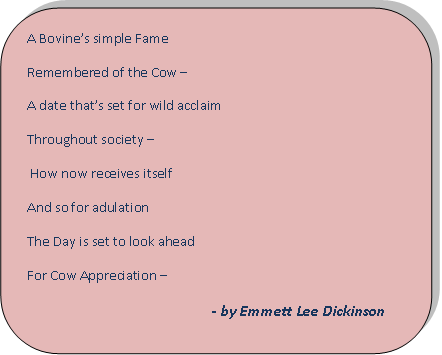 This day was established on July 15 as “Cow Appreciation Day” in the late 1800's as a tribute to great poet Gelett Burgess. This holiday was originally dubbed “Purple Cow Appreciation Day,” but the “Purple” was then dropped in 1878 in the midst of an emotional family feud. There is a story that a few years earlier, Emmett Lee’s cousin Alvina Dickinson, daughter of Merton Dickinson, wedded a wealthy chicken tycoon then Charles “Chic” Fillay, The Fillays own a chain of fried chicken restaurants called “Charlie's Chicken Coop.” However, Alvina and Charles divorced when Alvina caught Charles in what came to be branded in Washerst and around the country as the “Spring Chicken Scandal." However, the above poem became an overnight sensation and incensed the Fillay family. 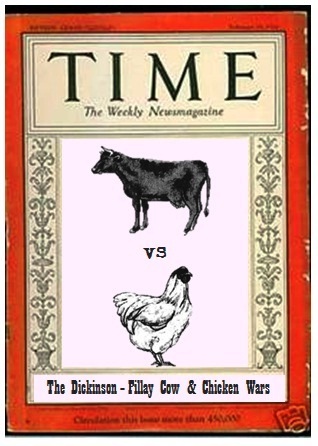 Worldwide press coverage of the family dispute brought Charlie’s Chicken Coop to the edge of financial damage. It forced to change the name of the family business to Chick-Fil-A, Charles Fillay -- in a move to spite the Dickinson family -- it also changed the name and concept of “Chicken Appreciation Day” and created a rival “Cow Appreciation Day." 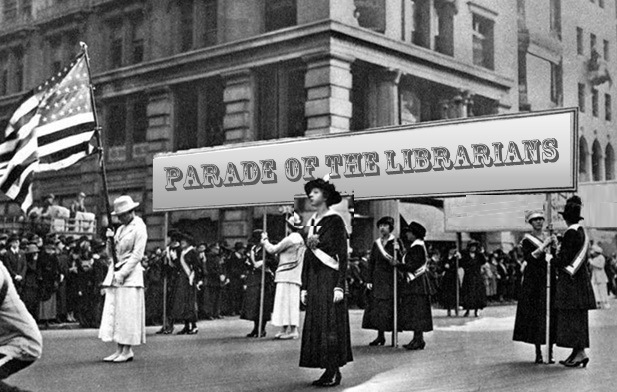 At a point, Alvina Dickinson Fillay, one of the founders of the American Library Association, sprang to act by enlisting the help of librarians across the country. She convinced the ALA to endorse July 15th as the official “Cow Appreciation Day.” This is the time the libraries planned to organize a variety of events to celebrate the day, some were cow rides for “children of all ages.” Also, in the 1890s, the Board of Trustees of the ALA, headquartered in Washerst, inaugurated a spectacular "Parade of the Librarians” on Cow Appreciation Day, a custom that continues to this day. That Emmett Lee Dickinson invented the Moon Pie? The Purple Cow Moon Pies Factory; which is the world's leading producer of Moon Pies. Another great way to celebrate this day is - Enjoy a Purple Cow Moon Pie!! !